Multigenerational travel is one of the best ways to foster relationships across the generations of your family. Whether you’re traveling with your parents, children or grandchildren, it’s all about making memories. Our Globetrotting Grandmom is always in search of new places to create memories with her grandchildren. 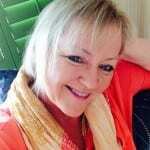 Recently she discovered a true gem. 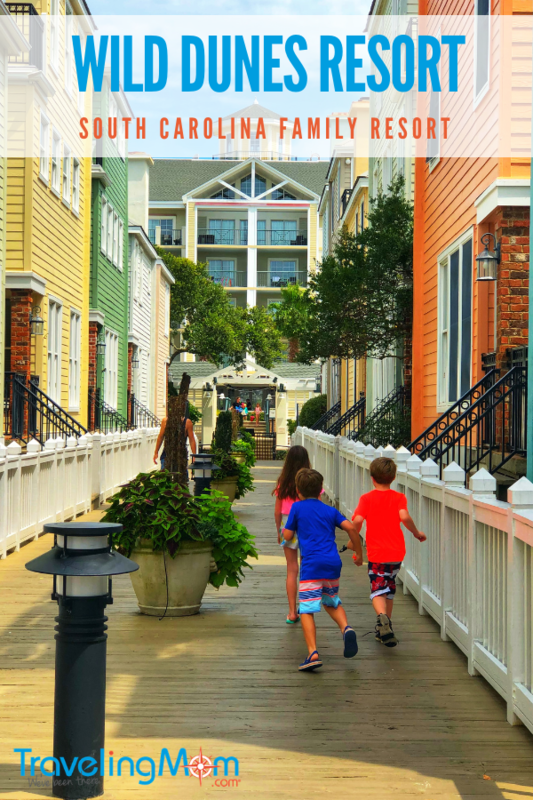 See why she believes Wild Dunes Resort is one of the best South Carolina family resorts near Charleston. As I stood on the beach at the edge of the water looking for blue crabs with my granddaughter, Katherine, our search was interrupted. My youngest grandson, Benjamin was shouting “GiGi help! A bee is chasing me!” Running toward me dragging a wooden stick with a dead fish tied to it, Benjamin didn’t realize his problem wasn’t the bee. The real enemy was the flock of seagulls that were following the fish. I swept him up and got the fish back in the water. The bee vanished, and the birds moved on. Crisis averted, we returned our attention to the crabs—well, most of us anyway. 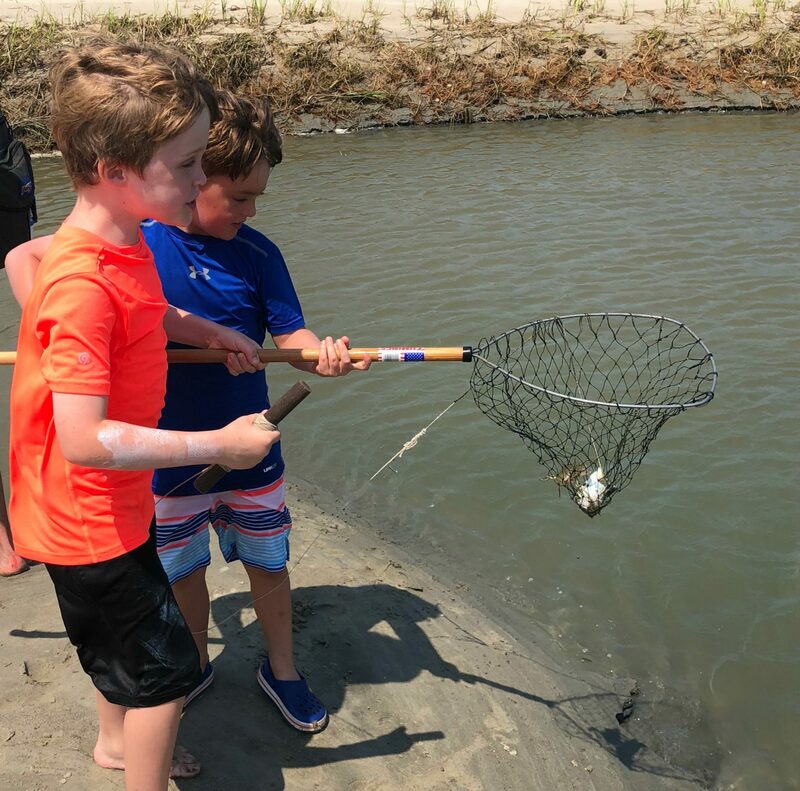 My other grandson, Marshall, turned his attention to the baby shark someone in our group had caught. No longer satisfied catching crabs, he began the search for shark bait. As the sun began to set on our afternoon of fun, we finished our adventure with a clambake on the beach. After mastering the art of cracking open the crabs, Benjamin declared the delicacy as his new favorite food. Boarding our boat for the ride back to the dock, the boat owner’s dog, Moses, settled in between the boys. Moses has an uncanny sense of hearing that detects dolphins in the water, causing him to knock everyone out of the way as he barks wildly at the elusive fins. Which, in turn, caused all three of my grandkids to giggle uncontrollably. Later that night as I tucked the kids into their beds in our villa at Wild Dunes Resort, they all agreed it was “the best day ever!” I had to agree. 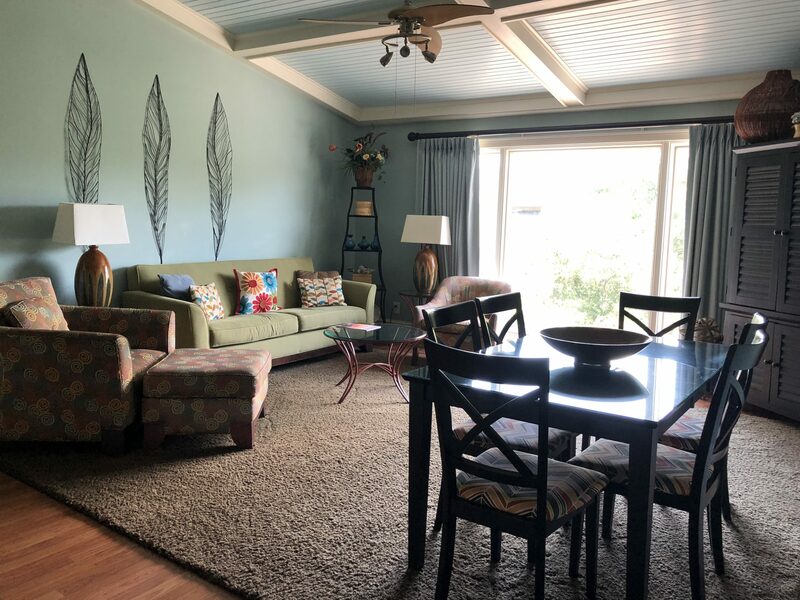 Finding the ideal multigenerational vacation destination isn’t always easy, but when you find it, you’ll have a home base for all those treasured memories you’ll be making. 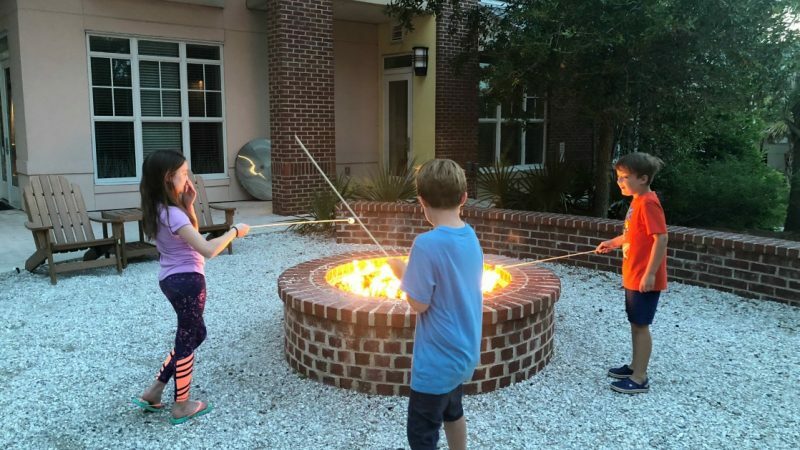 Situated north of Charleston, South Carolina in the fertile low country, the Wild Dunes Resort has an abundance of lodging options and experiences. From standard hotel rooms to villas with full kitchens to multi-bedroom vacation rentals, you choose what works best for your family. 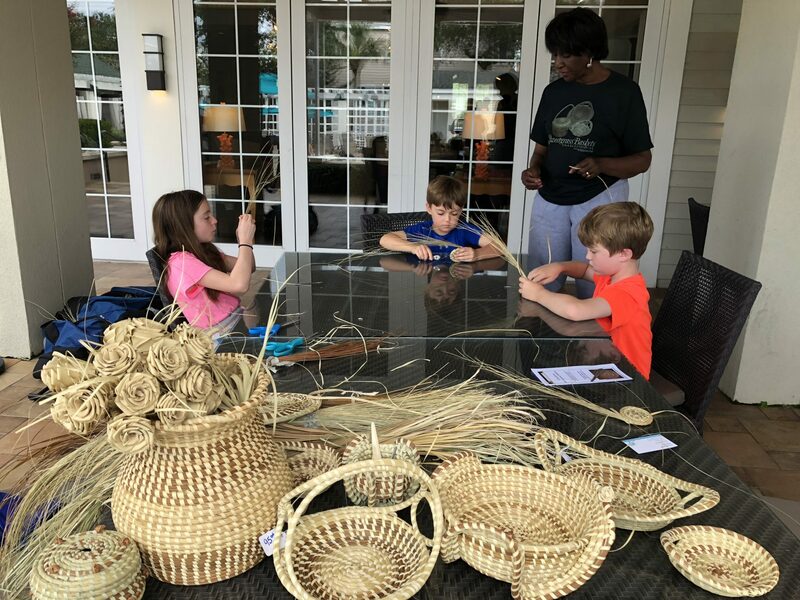 As for activities, of course there are pools and the beach, but there are also blue crab safaris like the one we experienced and even the opportunity to learn the centuries-old Gullah tradition of sweetgrass basket weaving. Situated on the picturesque Isle of Palms, South Carolina just north of Charleston, the Wild Dunes Resort offers a variety of accommodations. At the heart of the resort is the AAA Four Diamond-rated Boardwalk Inn. Offering 93 coastal-themed hotel rooms and suites, the Boardwalk Inn is a classic beach resort hotel. At the center of the resort activity is The Village of Wild Dunes. Located just steps from the beach, guests can choose from one, two and three-bedroom suites and penthouses. For more space, consider a vacation rental. Options range from three to seven-bedroom homes as well as cottages and condominiums. Resort amenities include spa services, golf, tennis, pools, restaurants and scheduled activities. All properties within the Wild Dunes Resort have access to the amenities. For our group, a two-bedroom villa was perfect. While we weren’t directly on the beach, it was just a short walk away. Best of all, we had a dedicated pool shared by a small cluster of villas. Located just outside our door and never crowded, the pool was a huge hit with the grandkids. While the crabs stole the show on our beach adventure, barbeque was also a big hit. Located on the Village Plaza, Billy G’s Smokehouse is a winner for smoked meat lovers. The chefs smoke house-seasoned pork, beef and chicken the old-fashioned way. Good ‘ole southern comfort foods with a twist accompany the finger-licking good meats. Our hungry adventurers sampled a little bit of it all. What was as delicious as the food was the casual, relaxed, family-friendly atmosphere. 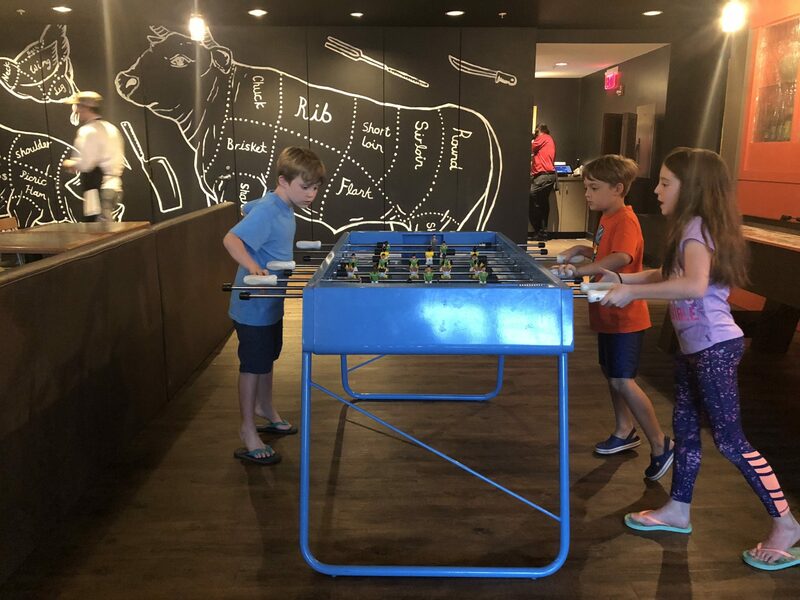 The restaurant has foosball and other games that kept the kids entertained while we waited for our food–and sometimes even between bites. After a few days of sunshine, swimming, crabbing, eating and laughing, it was time to go home. None of us were ready to leave. We’ll be back to the Wild Dunes Resort and next time, we’ll bring the whole family…all four generations. And, of course, there will be many more memories to make.